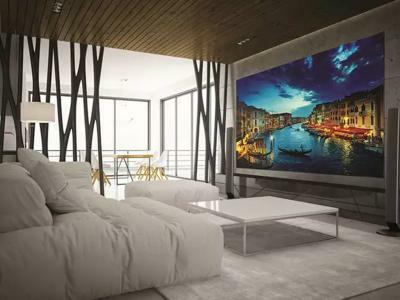 Samsung launched a new home screen TV range in India, called Active LED (also "LED for Home") - modular LED-based TV tiles that are offered in 4 sizes (from 110-inch FHD to 260-inch UHD). These are likely to be Micro-LED emissive displays (or mini-LEDs, most likely), even though Samsung did not actually give any specifications yet. The Active LEDs are priced from 10 million Rs (around $137,000) for the 110" to 35 million Rs ($480,000) for the 260-inch TV. As these are modular TVs, consumers can choose different shapes (but only one of the four available resolutions/sizes).